Tom Bennett was elected to Council in 2013. Tom and his wife Jayne moved to Southern Shores in 2002 to a home they built in 1990. Tom has served our community as a Board member and President of the SSCA, as Commodore of the Boat Club and more recently as the Project Manager, for the Town, of Phase One of our canal dredge. 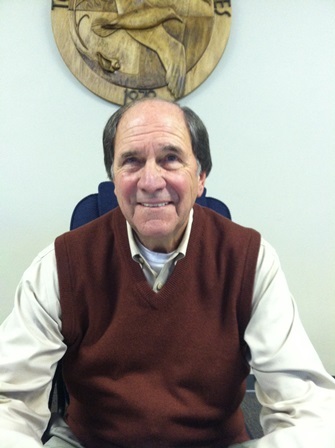 He is an active member of the Caring Hands Ministry of Duck United Methodist Church. He is a graduate of Lynchburg College in Virginia, served nine years as a commissioned officer in the U.S. Navy, two years in home construction and sales and for over thirty years owned and managed his own company in Northern Virginia. Tom and Jayne have been married for fifty two years, have two daughters and five grandchildren who visit regularly. • Elected member of the Chicahauk Property owner Association since late 2012. Serving as Vice President and Head of Volunteer Committee during tenure. • Licensed Architect in North Carolina, Virginia, South Carolina and Rhode Island. • Member of the U.S. Green Building Council (USGBC) and green building certified (LEED NC). • Former member of the Urban Land Institute and Virginia Beach Housing Roundtable for Workforce Housing. • Received multiple design awards from the American Institute for Architects Eastern Section for local Outer Banks design projects. Jim was born in Roswell, New Mexico as the son of a career Air Force serviceman. He travelled the world with his family and ended up in Prince George’s County, Maryland where he graduated high school. Upon graduation from high school he joined the U. S. Marine Corps where he again travelled extensively throughout the Far East and Europe. After two tours of duty, he then enrolled in the University of Georgia where in 1985 he graduated with a Bachelor’s Degree in Landscape Architecture. 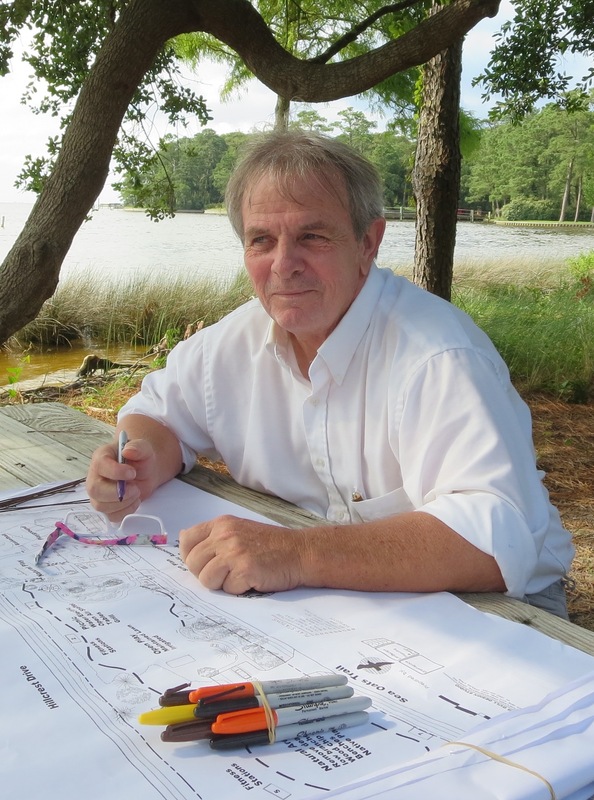 Jim initially worked as a land planner and landscape architect for 10 years in Architect/Engineering firms in South Carolina and Georgia. Shortly after moving to Southern Shores, he started his own landscape architectural, land planning and environmental consulting firm. He is currently registered as a landscape architect in North Carolina and has previously been registered in South Carolina, Georgia and Virginia. Jim has always been involved in community volunteerism. In Southern Shores this has included four years (1 year as president) on the Southern Shores Civic Association’s (SSCA) board, two years on the Town’s Capital Improvement Committee, and as an alternate member on the Planning Board. He has also volunteered with Habitat for Humanity, Dare Literacy and other organizations outside of Southern Shores. Jim, his wife Leckie and daughter Skye moved to the Outer Banks in 1995. They acted as their own general contractor and built their home on Duck Woods Drive, where they have lived since early 1996. Fred Newberry is a native of Macon, Georgia, but spent most of his professional career in the Washington, DC area. He started coming to the Outer Banks with his family in 1988 and has been a property owner since 2000. Fred completed 31 years of Federal service and retired from the Senior Executive Service (SES) in the Federal Bureau of Investigation (FBI) as its Chief Information Security Officer (CISO) and Chief of its Information Assurance Section. Fred also worked in intelligence and information security for the U. S. Navy when he was assigned to the National Reconnaissance Office (NRO) as Deputy Chief of the Enterprise Management Operations Center, providing information network and security operations monitoring. In addition he served many years for the U. S. Navy in various other senior management positions. Fred received his Master of Science in Computer Science from The George Washington University in Washington, DC with a major in software engineering. In addition, he received a Master of Science in National Resource Strategy from The Industrial College of the Armed Forces (ICAF) at the National Defense University at Ft. McNair, Washington, DC. He received his B.S. degree from the University of Georgia in Athens, GA with a double major in chemistry and zoology. Fred’s private sector experience includes employment at Cisco Systems, as Client Solutions Director – Cybersecurity, providing information security consulting services to Federal clients and Fortune 100 companies. Currently he is Global Director of Information Security for BDP International working remotely from the Outer Banks. Fred is also a private pilot and is instrument rated. He was recently appointed to the Dare County Airport Authority. Gary McDonald is a native North Carolinian who moved from Concord to Southern Shores in 1995 when he was named principal of Kitty Hawk Elementary School. He also served as the principal of First Flight Middle School. Gary has also worked as a principal in SC and Virginia and continues to hold administrative licensure in NC, SC and Virginia. Gary was a 6-year member and past president of the Chicahauk Properties Owner Association. He is a past member of the advisory board for the Dare County Parks and Recreation and a past member of the Board of Directors of Outer Banks Babe Ruth. He was recognized as a Rotary International Paul Harris Fellow by the North Banks Rotary. Gary and his wife, Syble, attend Kitty Hawk UMC. They have two sons and a beautiful granddaughter.